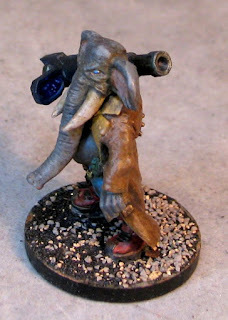 I've been wanting to do this conversion for quite a while, but never could find a good head for it. 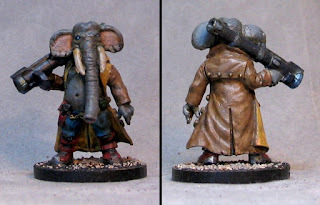 The base figure is a Heresy Trenchcoat Ganger and the head I found came from a line of minis I'd never heard of before based on a comic I'd never seen- Grandville. I stumbled across the pack this head came in on ebay and the rest fell into place. 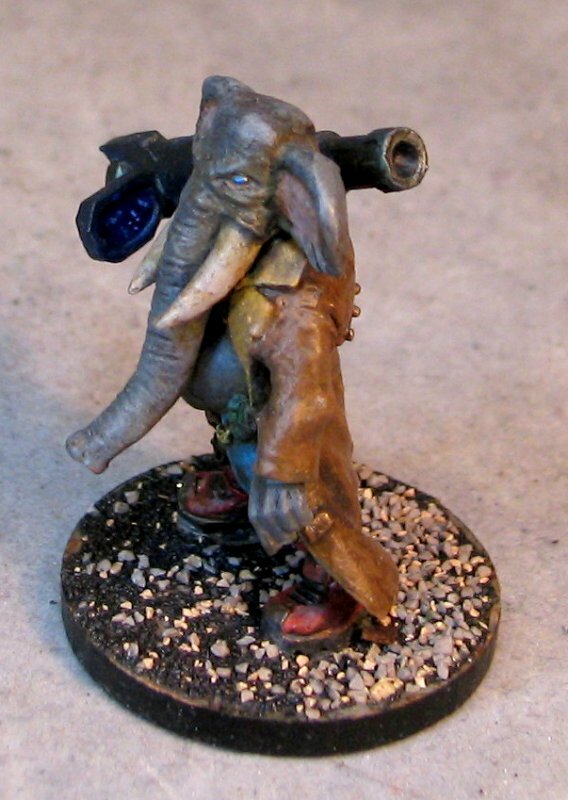 It was really just a simple headswap from there and now I have a "Tantorite" or an elephant beastman. 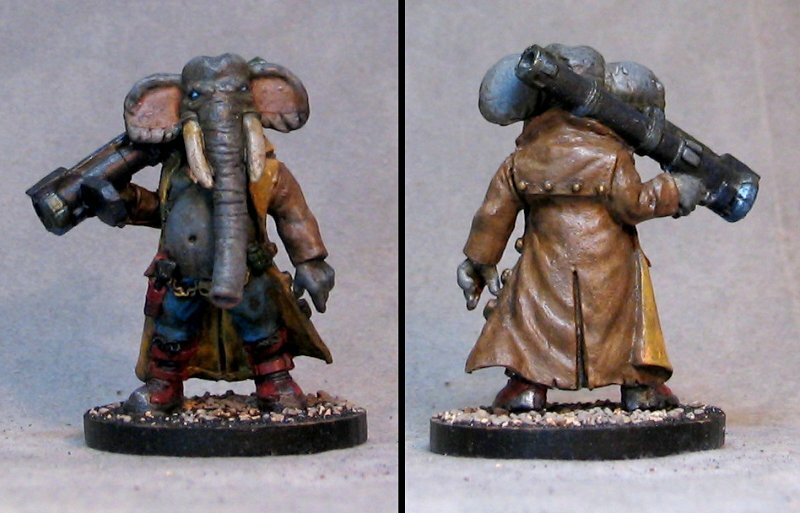 I put him on a 30mm base because he is a big fellow. A little better view of the targeter below.